A dazzling display of diamonds, this stunning silver ring presents a cluster of stones set within a pear shape formation. Diamonds carry over to the shoulders and band, with antique milgrain detailings surrounding. 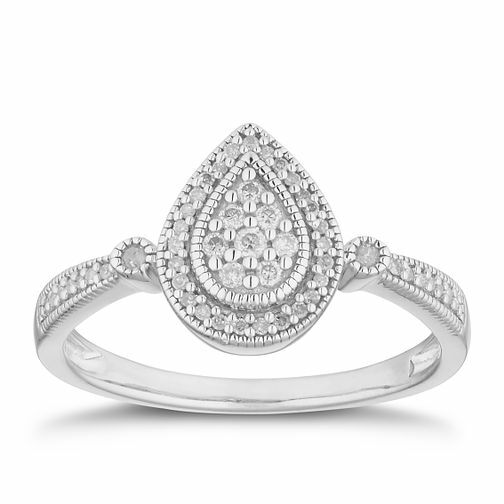 A classic design set to sparkle from head-to-toe, with a total diamond weight of 0.15ct.